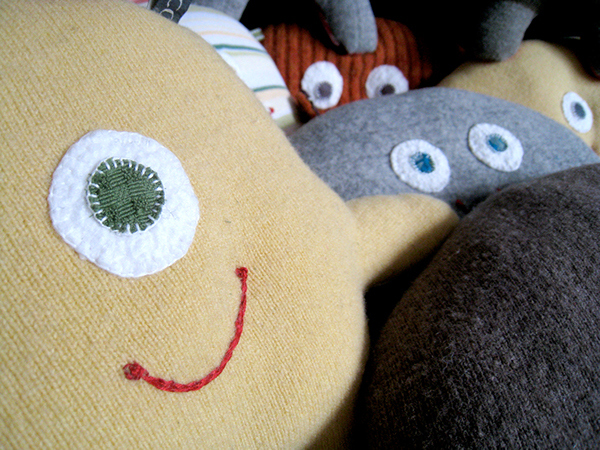 These plush alien creatures are made of upcycled clothing, clothing tags, ribbon and felt and are designed to stimulate and entertain carbon based, oxygen breathing, humanoid babies. They are filled with high-grade, hypoallergenic, polyester stuffing. 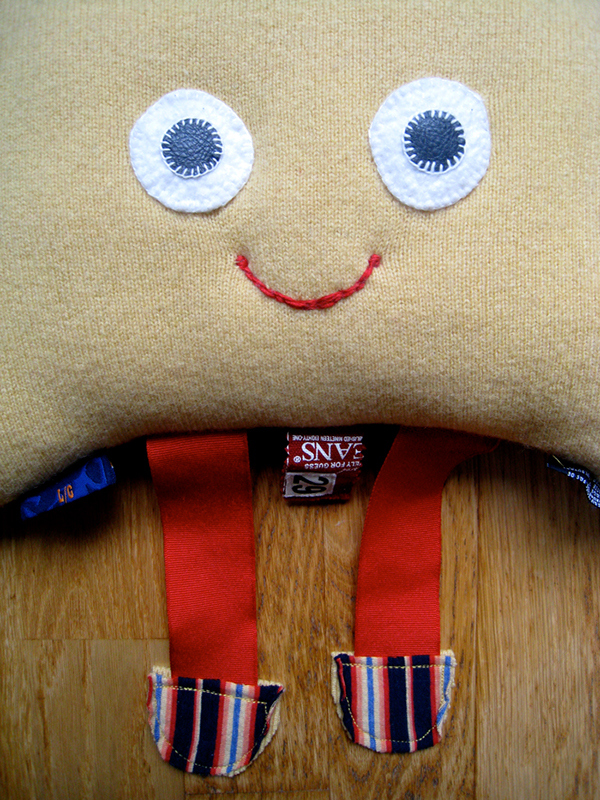 One Eye 13" x 9 ¾" x 3"
Mr. Squiddy Bean 17 ¾" x 10" x 3"